So the Subterranea is heaving, there was “extra” PA – loads of bass bins (alledgedly from the Aba Shanti Sound System), and we were fired up and down to the front. Everything was already LOUD but when Youth plugged in his bass and hit a note the sound was VIOLENT. Jaz came on with what looked like washing up liquid bottles and sprayed the front of the audience with red paint (or pig’s blood, according to the press). 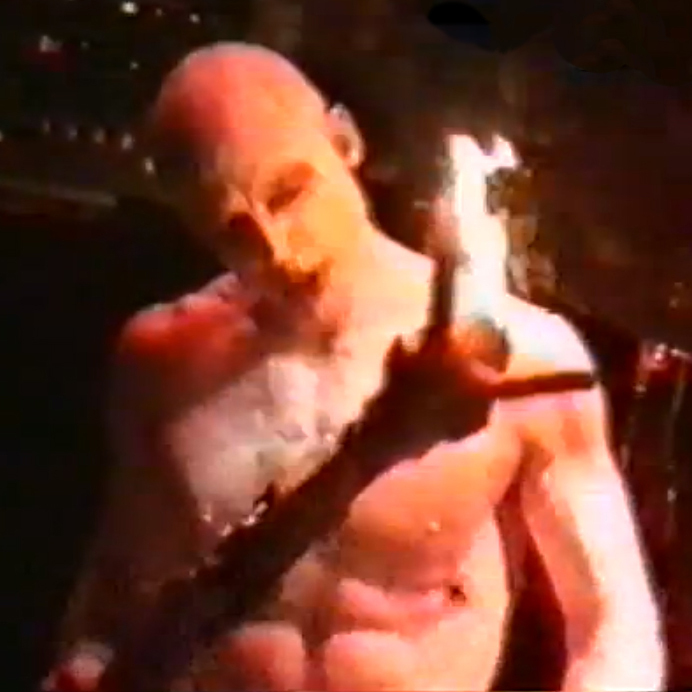 And they had a fire-eater/performance artist (indeed!) wandering round being mental (alledgedly there was damage to the lights and PA from the flames, and wrists were slapped). And the other day I found the video below – the entire Subterranea gig filmed from the balcony. I haven’t watched it yet (and this is not my favourite album by a long chalk), but the vibe is spot-on. If anyone has a setlist, or fancies generating one for me, I’ll add it to the post – cheers!